Over half a million cycle journeys now take place in London every day, and a whole service industry has grown in the capital, to cater for this population. 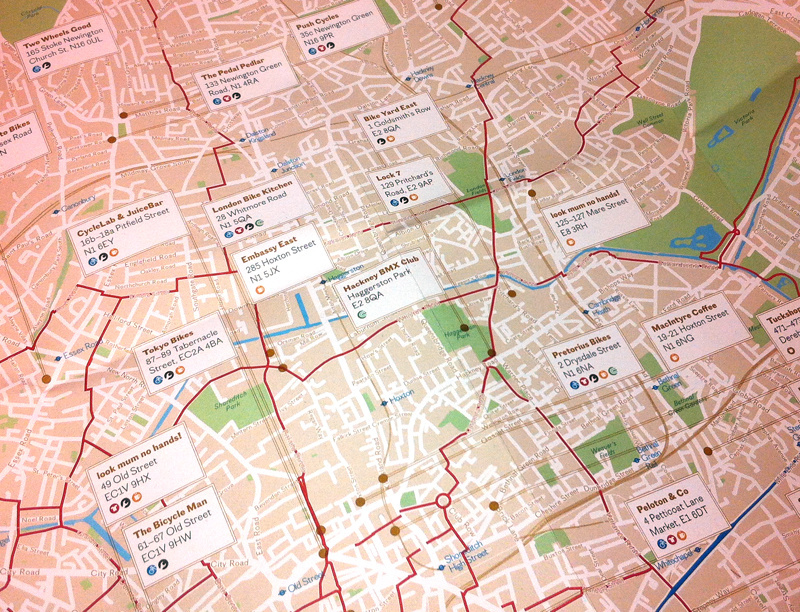 This map is produced by Blue Crow Media and is designed like their maps of the best craft beer pubs and coffee houses. 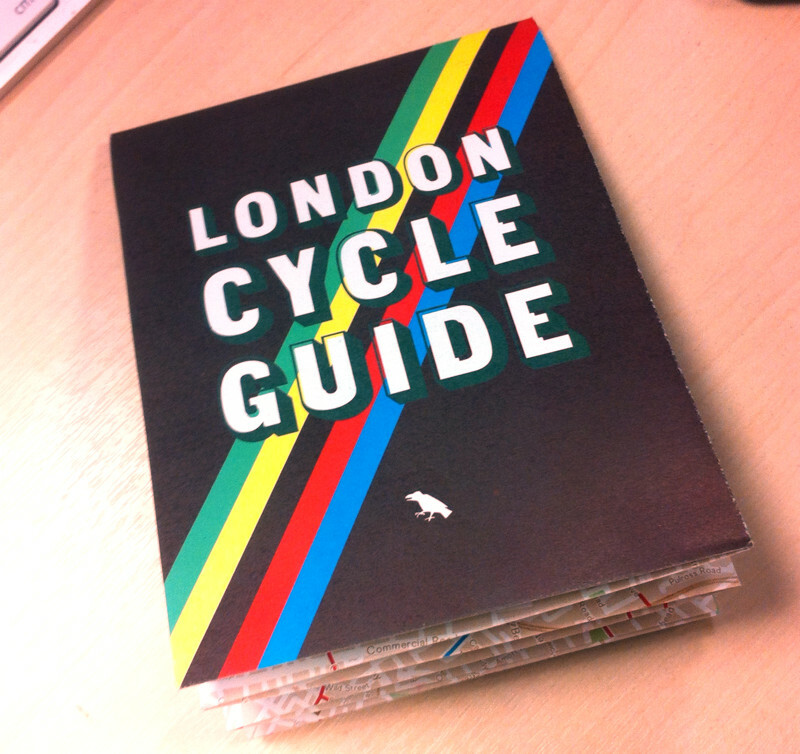 It focuses on the locations of bike shops, repair workshops, cycle friendly cafes (such as the famous “look mum no hands”) and other cycle-related locations such as the about-to-reopen Velodrome in the Olympic Park. 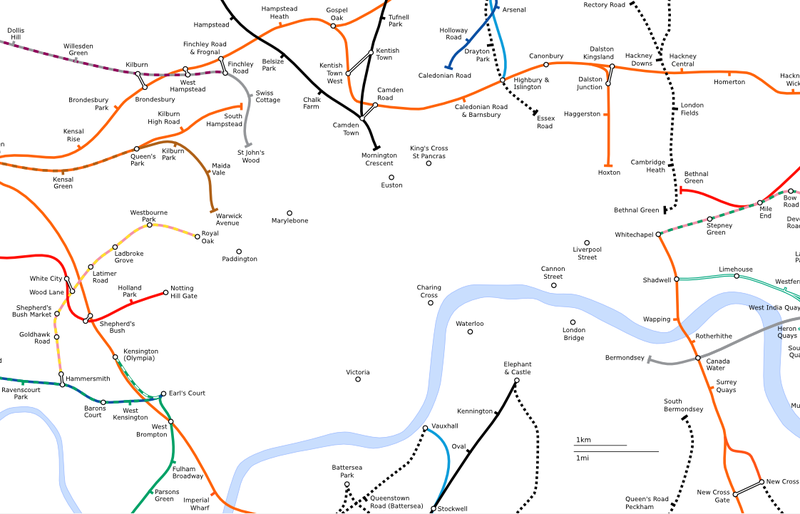 It also shows the network of cycle routes (mainly road-based) in the centre of the city, both local routes and the “Cycle Superhighways”. 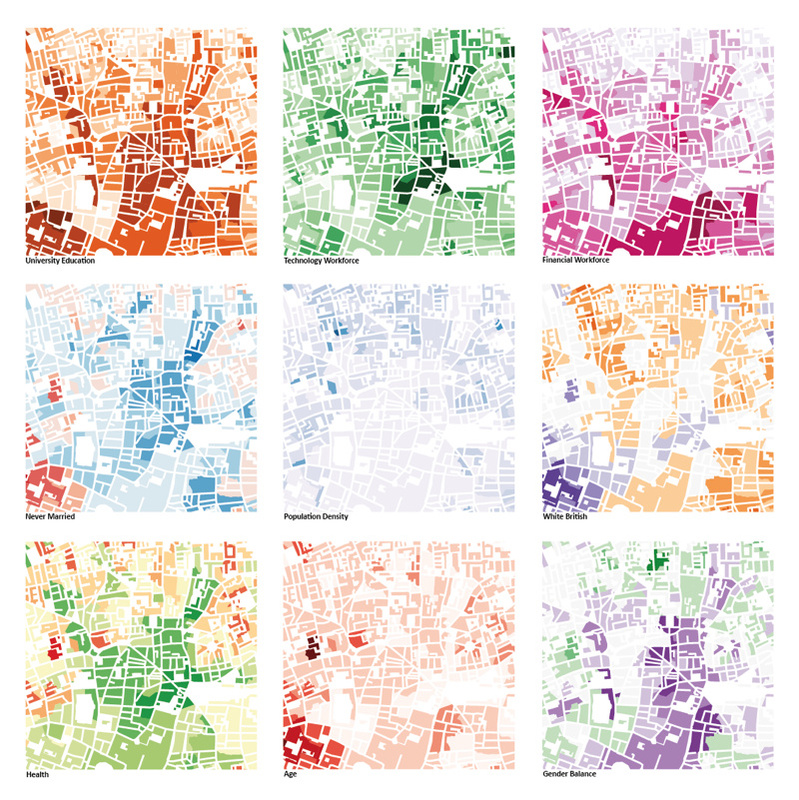 The background map is based on OpenStreetMap data. 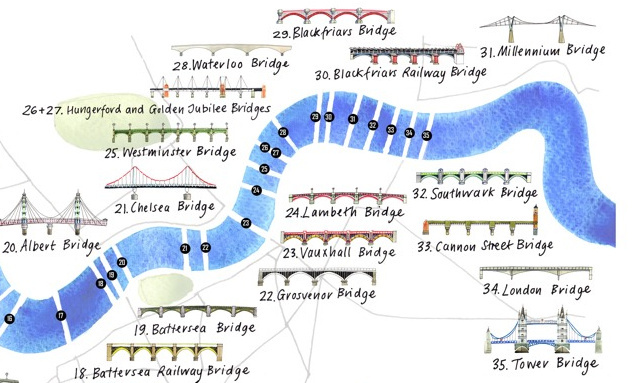 One thing to note is that the routes are not always up to date or complete – such is the constantly changing nature of London’s cycle infrastructure and road network – but the map still gives a good idea of many of the key cycling routes. 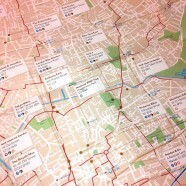 The extract above shows a popular and key cycle route between the City/Silicon Roundabout and cycle-loving Hackney. The cartography is crisp and easy to read, and best of all the map folds right down, so that it is genuinely pocket sized. The map is available at the Blue Crow Media shop for the bargain price of £3. Thanks to Blue Crow Media for sending a review copy.